The artwork accompanying my poems in the soon-to-be-published anthology, Birdsong: a Celebration of Bruny Island Birds, are so delightful that I wanted to share them with you. rollers combing empty miles of coast. 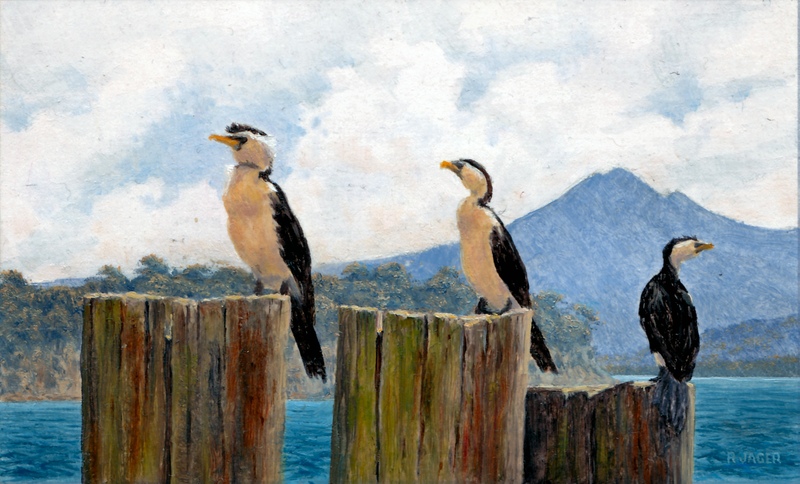 One of Bob Jager’s beautiful miniature oil paintings was chosen to illustrate my poem, ‘Cormorants’. still as the cormorants’ wings. 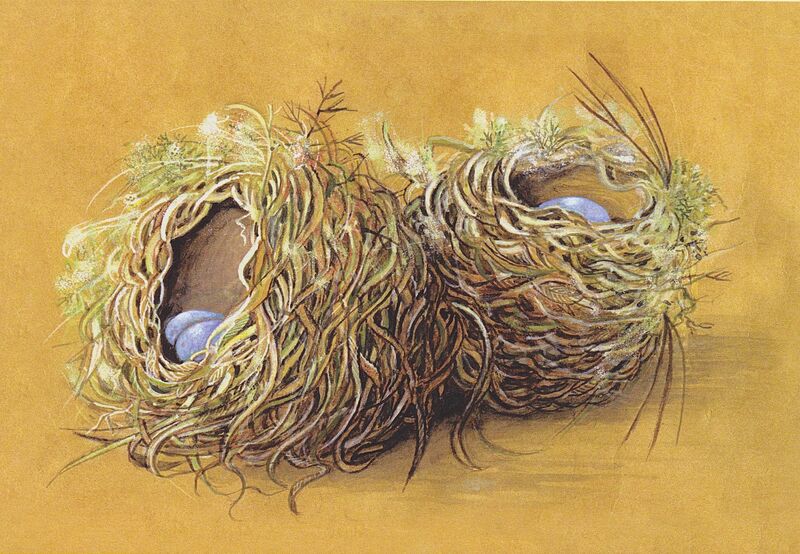 Sandra Rofe’s exquisite acrylic painting of two nests was chosen for my poem, ‘Flame Robin’. to lay her three blue eggs. The target for raising funds for the publication of Birdsong has almost been reached but there is still time to participate as a sponsor and receive a personally signed print of one of Bob Brown’s bird photographs, and go into the draw for one of three Sponsor’s Draw Prizes. 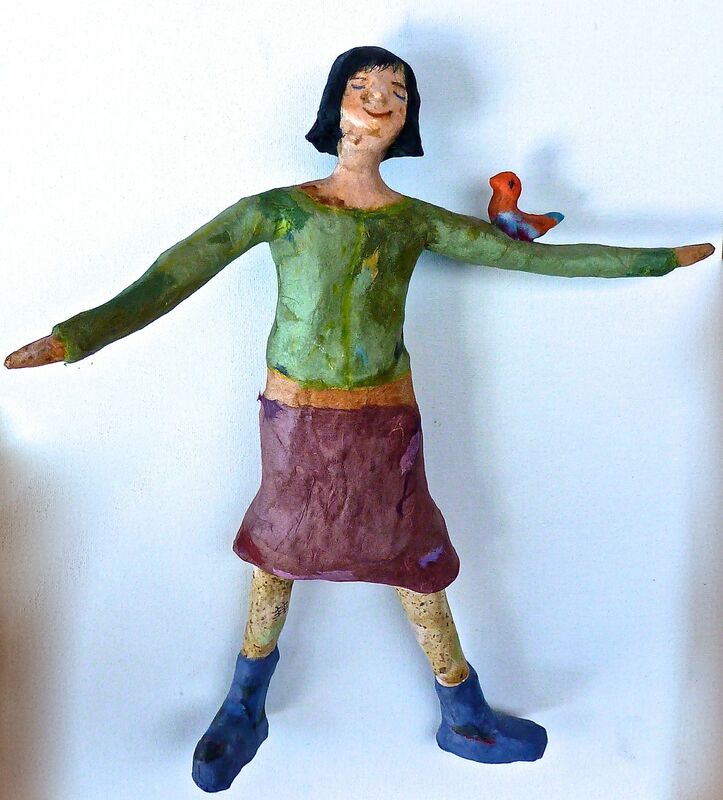 This entry was posted in All posts, Books, Lyn's writing and tagged Anne Morgan, Birds, Bob Brown, Bob Jager., Bruny Island Environmental Network, Hana Han, Lyn Reeves, nature poetry, poetry, Prizes, Sandra Rofe. Bookmark the permalink. An astounding mix of fantastic words and art. Hope publication goes well and how will you market it?